Memorial services for Al Glock, 66, instructor of Computer Science in the College of Engineering and Applied Science, will be at 11 a.m., March 9, at St. Luke’s Lutheran Church, 5265 N. Union Blvd. in Colorado Springs. He died Jan. 19, 2019. Glock joined the faculty as a lecturer in 2007 while he worked at Northup-Grumman, and became a full-time instructor at UCCS in 2013. He earned his doctoral degree in engineering within the computer science track from UCCS in 2009. Glock was a retired major of the United States Air Force and attended the U.S. Air Force Academy. He was an avid hiker, volunteer firefighter and emergency medical technician, and was an active member of his church. Albert Ernest Glock, Jr. 66, died in his home in Colorado Springs on Saturday, January 19, 2019. He was born on August 18,1952 in Bloomington, Illinois to Albert Ernest Glock, Sr. and Lois Ruth Sohn. He married Miriam Jean Hinrichs on July 14, 1990. Al attended the Air Force Academy where he majored in Astronautical Engineering and Political Science, earning his BS in 1974. He received an Olmsted Scholarship and attended the Institute of Political Studies in Paris before earning his Master’s degree at Harvard in International Relations. He completed a PhD in Computer Science from the University of Colorado in Colorado Springs. Al was an Air Force Officer for 20 years, retiring as a Major in 1994. He worked for Logicon and Northrup-Grumman and as a lead M&S analyst and programmer for SkySentry in Colorado Springs. 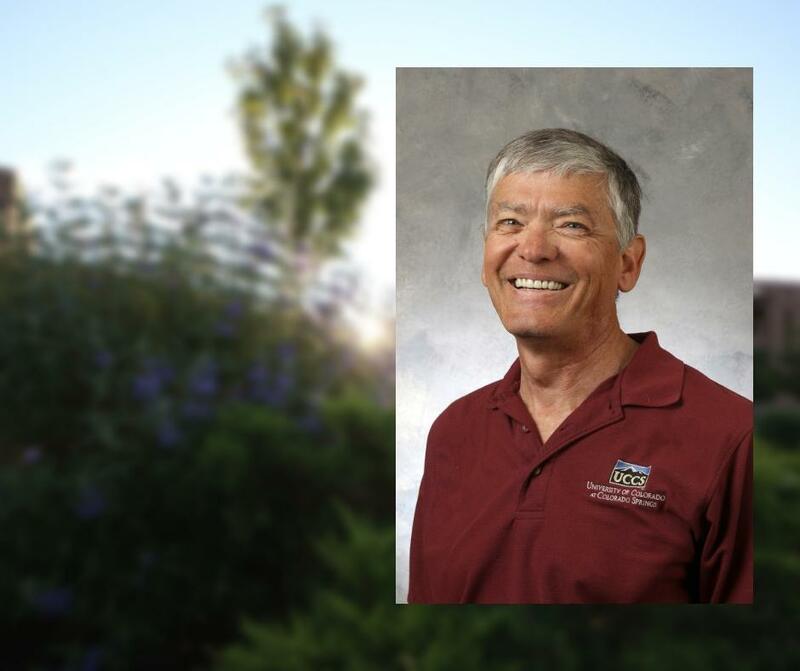 He worked for six years as an instructor for the University of Colorado in Colorado Springs. Al was an EMT and volunteered as a firefighter for the Black Forest Fire Department. With a group of ham radio volunteers, he organized communications for races up Pikes Peak. His call sign was KC0PRM. He attended Saint Luke’s Lutheran Church and sang with the Grace Saint Stephan Episcopal Choir. Al was fluent in French and German, and spoke some Russian and Hebrew. He enjoyed singing, photography, woodworking and running. He used to run to Barr Camp, halfway up Pikes Peak, a couple of times a week. He is survived by his wife Miriam and his sons Albert Ernest III and Aaron Timothy. Also by two brothers, Peter and Jeffrey and a sister, Alice. The memorial service will be on Saturday, March 9, 2019 at Saint Luke’s Lutheran Church 5265 North Union Boulevard, Colorado Springs, at 11 am. Flowers can be sent to Saint Luke’s or donations can be made to Compassus Hospice and Palliative Care in Colorado Springs. He was my age, though senior in so many things.. I also saw him for couple years on the Pikes Peak Bicycle races in August. Truly an inspiring professor. Whether it was life advice or the class subject I always learned something new and will forever be thankful for the effort and time he spent on teaching us. The Computer Science department will not be the same without him. He was one of my favorite professors and I learned so much in his classes. He worked so hard and did so much for his students. He will be missed by many at UCCS. Sincere condolences from all of us at Salem Lutheran Church in Springdale that know you, Miriam, and your family. God’s many blessings during this time for you and your sons. I’d like to create a new moniker for Al: Intellectual Service. I was not able to spend time in Al’s classroom, but I was privileged to sing next to him for years and have scientifically fluent conversations about anything that came up. He served the music (surprising himself often at just how much energy he expelled singing J.S. Bach), served his family, and served the greater good with his intellect. A model for us all. According to multiple students, he was a great Professor. I enjoyed several conversations and shared some activities with him at UCCS, like taking the Comprehensive Examination or having him to review my Computer Architecture knowledge. UCCS was lucky to have him teaching at the CS Department. He is going to be missed. During the years that Al was running up to Barr Camp, and working toward his PhD, Teresa and I were fortunate enough to be the caretakers at the camp. We came to know Al and develop a lasting friendship. Al was very inspirational and encouraged Teresa to return to school to finish her undergraduate degree. We miss him so much. Al was a great person & ham radio operator, never said no when asked for his support. He will be greatly missed.